Philadelphia is the birthplace of American freedom, and at The Chocolate Works apartments near Independence Mall, residents are right in the middle of the city’s most historic district. The Chocolate Works is situated in Old City, which was the original center of Philadelphia, dating back centuries. It was the epicenter of the start of the Revolutionary War and the area where founding fathers including George Washington and Thomas Jefferson spent considerable time. Apart from famous faces that called the area home, famous buildings are also scattered throughout the neighborhood that still stand today. 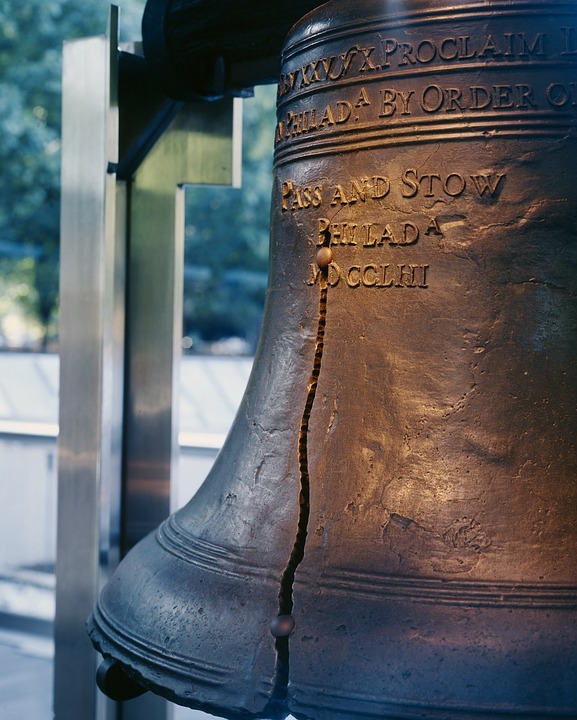 The most iconic is Independence Hall, the former center of the federal government and the spot where the Declaration of Independence was signed, laying the foundation for our modern country. The area around the building, known as Independence Mall, now embraces the past, present, and future. At The Chocolate Works apartments near Independence Mall, residents are just blocks from a bustling district of historic sites, shopping, dining, and entertainment. The Mall includes an expansive stretch of open space before Independence Hall that houses another of the city’s most famous attractions: the Liberty Bell. Though popular with tourists, the Mall is also a gathering point for locals, who enjoy community events, concerts, and festivals, including the city’s annual Independence Day celebration. Like many things in Philadelphia, the event series honors the city’s history with reenactors, colonial activities, and tours of Independence Hall and other sites. While The Chocolate Works apartments are a great fit for history lovers, they also allow residents to be right near all of Philadelphia’s more modern offerings. Across from the Mall is the newly reopened Bourse, a multi-floor shopping and dining complex that houses dozens of eateries, breweries, boutiques, and more. Market Street is the main thoroughfare that cuts through Old City, Philadelphia and, thanks in part to the foot traffic generated by the area’s tourism, is a haven for world-class restaurants and entertainment. Whether residents are interested in history, eager for exciting nightlife experiences, or looking for diverse culinary options, The Chocolate Works apartments near Independence Mall put them just moments from all of those arts and cultural opportunities. Discover many more reasons to live in Old, City Philadelphia, and contact Chocolate Works today to schedule a tour!